In his prologue to The Mongol Empire, Michael Prawdin sets the stage for the last and mightiest onslaught of the nomads upon the civilized world. He tells of the many rejoicings in Europe over the successes of the Crusaders in A.D. 1221. But little did Europe know that two decades later, the Mongol hordes organized by Genghis Khan would turn the Middle East into a heap of ruins and spread terror throughout the West. 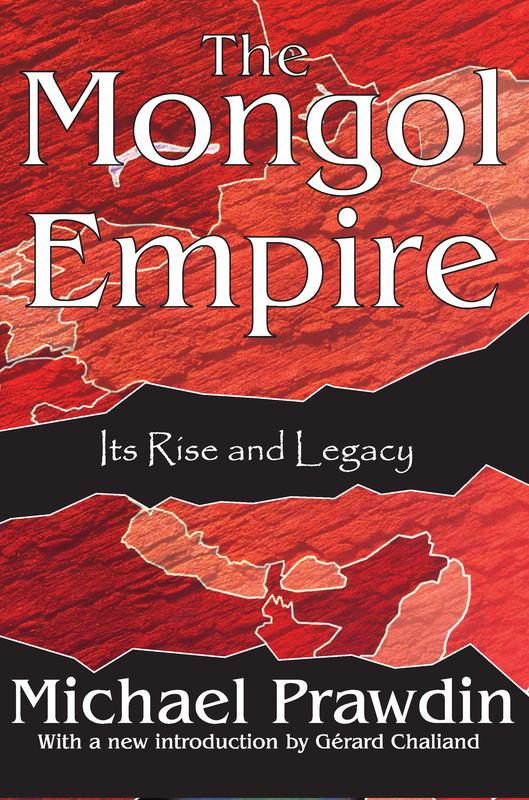 A work of enduring scholarship and literary excellence, The Mongol Empire is a classic on the rise and fall of the world's largest empire. It describes the incredible ascent of the Mongol people, which, through the political and military genius of Genghis Khan, overwhelmed and subdued the nations of most of the world. It demonstrates the transformation of barbarous nomads into the most efficient rulers of their time and describes the crumbling of their vast empire and the assumption of its legacy by the formerly subjugated China and Russia. Maurice Collis in Time and Tide said of The Mongol Empire: "It has the rare merit of being both scholarly and exciting…The entire world comes on to his canvas, romantic and fantastical persons pass in our view, and at the conclusion we realize that we have seen the whole of what Marco Polo saw only in part. " while The Observer commented, "it is a fine book, full of dramatic occasion well used, clear in proportions."